Our teeth straightening options are from Invisalign to fix braces. Treatment for these treatments can take anything between 8 months to two years so it’s really important that we go through with our patients, in detail, what the options are. Colin Pocock and Hannah Clark have been established as dentists in the City of Birmingham since 2000 and, as principal dentists with over 35 years’ experience between them, they have built a reputation for their caring approach and delivery of the highest quality dentistry to their patients. Please see our fees page for more information on our teeth straightening prices. How Long Does Invisible Braces Treatment Take? We’ve listed some of the questions patients generally ask us. However, we are sure you will have your own questions for us. Why not request a call back and we can give you a call to chat through your options. As part of us getting to know you, we would like to introduce you to our specialists who deal with the orthodontic treatments at Liberty Place. 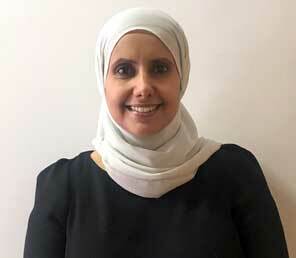 Insigam is a consultant orthodontist and has been on the specialist register for five years. 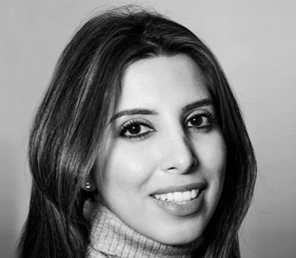 Sara provides specialist orthodontic care using a range of treatment methods. A smile that you feel confident in is a truly happy smile and we often find that those who hav the smile that they dream of are more confident and happier. Tooth straightening is a popular treatment in adults and children alike which involves a perfectly fitted brace applying a gentle force to your teeth to improve the way teeth fit together and the appearance of your smile. Modern orthodontics have meant that this is an option for many children and adults using discrete methods that take much less time than you might imagine. Straightening teeth is not a painful experience and can be a completely invisible experience if you so wish – so you can change your smile without anybody noticing you’re doing so! For lots of people though, having crooked or gappy teeth is something they would like to change about the way they look. Lots of people tell our orthodontists that they feel embarrassed to smile in photographs or laugh without covering their mouth because of the way their teeth naturally lineup. For some people, orthodontic treatment might be required to move your teeth back to where they were when you had braces for the first time. Lots of young adults didn’t retain their teeth correctly and without the correct instruction, some teeth have drifted back to a previous position. An orthodontist is a dentist who has completed further study to become a specialist in tooth movement. Our team of orthodontists at the Dentist at Liberty Place have taken further training to become consultant orthodontists and so have a wealth of experience in moving teeth effectively, safely and beautifully. Our team of orthodontists understand that for lots of people, the method of moving your teeth is an important factor in your journey to your straight smile. Our orthodontists stay up to date with the most modern technologies so they can offer you the best method for the changes you want to make with your time-frame and goals in mind. We love them! Traditional braces are much more discreet than you might remember them. They are visible but they are neat and quite tiny on each tooth. Lots of adults opt for traditional braces because they often have the shortest time frame attached. They are also the cheapest option for effective tooth movement. A much more discreet fixed brace option, ceramic braces joined the market for those who are looking for only tooth-coloured appliance so that no metal is visible. Ceramic braces are often the choice for people who have a little more to invest into their treatment for the added benefits. Ceramic braces reflect traditional metal braces in all other ways but cost so they are a great alternative if you are looking for a speedy result with a little more discretion. Invisalign are an aligner-style braces tailor-made for you to gradually move your teeth into your desired position. Lots of our patients choose Invisalign because of a software called “clincheck” which allows us to show you a digital simulation of how your teeth will look at the end of your treatment right at the beginning. Only once you are happy with this do we create your aligners for you. Invisalign is completely clear and is not permanently fixed to your teeth so is the most discreet and comfortable way to align your smile, this brings with it a higher investment but as with all braces this can be spread to reflect your monthly budget. One of the most important factors in choosing to straighten your smile is to keep it straight! At The Dentist at Liberty Place we will always explain clearly how to use your retainers and make them as user-friendly and discreet as possible. As part of your orthodontic treatment with our team we always provide you with two types of retainers so that we have double knotted your new smile in place to last forever. Choosing your orthodontist in Birmingham should be based on how comfortable and informed you feel after your initial consultation. During your consultation with our team you will also meet our treatment co-ordinator – Jess. Initially Jess will listen and understand with our orthodontist as to how our team can help you. Once our orthodontist has given you a few options to straighten your teeth, Jess will create the ideal treatment plan for you, arrange visits and co-ordinate the information we need to create your bespoke appliance and can discuss the option to spread the investment into treatment into your ideal monthly budget. Jess will be your contact throughout your treatment and will provide you with answers to any clinical or practical questions between visits. At the Dentist at Liberty Place we understand that orthodontics is a big commitment. Depending on the changes you’d like to make to your smile, tooth straightening can take from 6-24 months. The price of orthodontic treatment varies depending on the complexity of the movements required and the choice of brace that you feel fits you best. We want you to feel that our team is committed to you for your entire journey and in turn – for you to feel informed and comfortable looking after your brace and visiting us regularly. We understand that your busy lifestyle might be an obstacle in deciding to embark on an orthodontic course of treatment so we provide appointments with one of our specialist orthodontists on a Saturday and various appointments before and after work in the week.